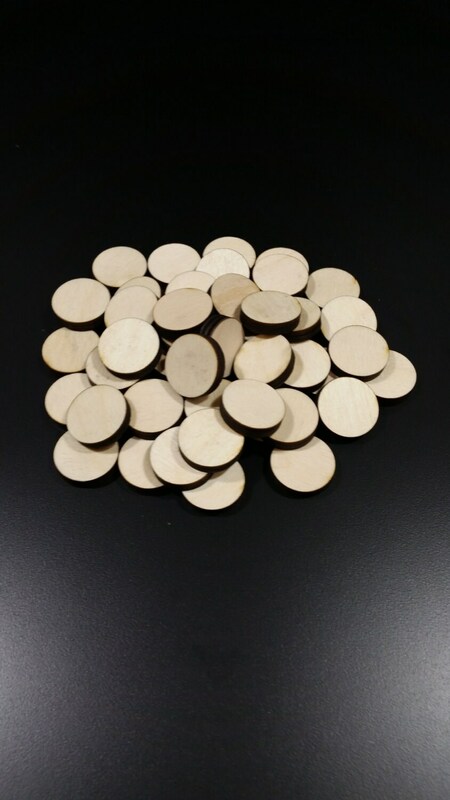 These are laser cut blank wooden circles. 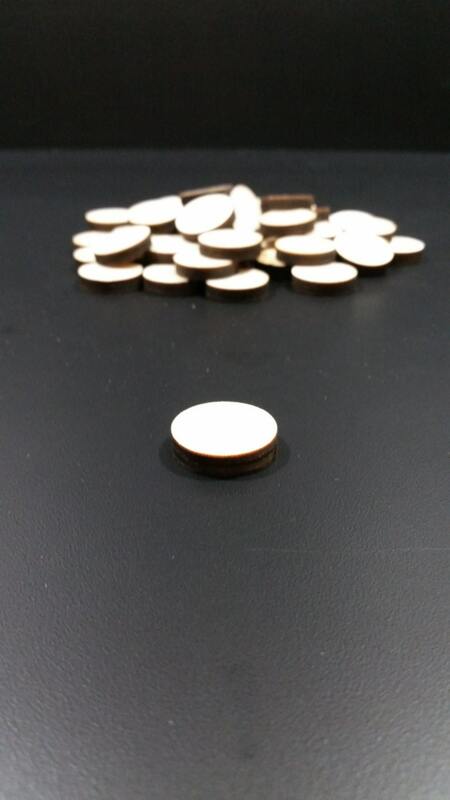 The circles are 1/4" thick and are 1" in diameter. These tokens come unsanded and will show some scorch marks on the bottom side.